Reading Zachary’s article “Tesla Semi Price × Orders = $47 Million to $55 Million in Tesla Revenue (with Assumptions),” I thought I had something to add. When I heard a few months ago that Tesla intended to power its trucks with Model 3 parts, including the motors, I knew it was over for the diesel-truck industry. The competition was still thinking about one very big, specialized electric motor to power the truck, essentially replacing the old parts 1 for 1 with the new tech. 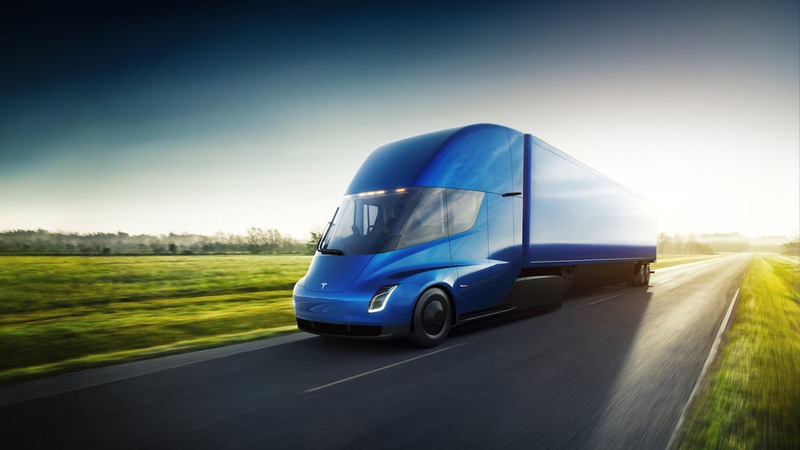 But Tesla reinvented the way a truck powertrain was supposed to be built, making every old design obsolete. At the unveil, I saw what I expected Tesla to deliver: A semi-tractor optimized for coast-to-coast transportation, with 500 miles on the initial charge and another 400 miles during the mandatory 30 minutes break. With high upfront costs but lower operational costs per mile, long-haul trucking is obviously the best case scenario for these vehicles. To illustrate the financial advantage, Musk did show a worst case scenario — short-haul trucking — to still be financially attractive. Strangely enough, many commenters, convinced that electric trucks are only viable for short distances, treated these examples as the intended use. The spreadsheet-oriented trucking company bean counters made no such mistake. They got the message from the $0.07 price guarantee at “megachargers.” This was the ultimate long-haul truck. It did appear to me like Tesla used the old IBM pricing mechanism. That’s not production + desired margin. It’s looking at the cost of the target customer, and then offering a solution that could save 20% on their operating costs if they used an IBM mainframe to support their operations. No manager ever got fired for accepting that offer and IBM dominated the market for decades. And no trucking manager will risk anything if he/she orders Tesla trucks. First, order a few trucks to confirm that they work as advertised. Then, switch the fleet as fast as financially optimal. Simple. While there was a question about battery sizes and weight before the event, afterward the blogosphere erupted with speculations about a big battery breakthrough. Putting the price of the additional 350kWh–400kWh of the long-range model at only $30,000 was far beyond what anybody could believe was possible. (Remember, that price is including the 25% gross margin, putting the actual production cost of that battery at $24,000, assuming all else is equal.) That is a mind-boggling $60 to $68.50 per kWh. Many offered the thought that Tesla was taking a (big) hit on the truck to buy market share, or for another nefarious reason. But Tesla cannot afford that and it would be completely out of character. We know the Gigafactory was conceived to save about 30% on the logistics costs in the battery production process from raw materials to finished cell. Other integration and economy of scale savings could add to that. Remember Occam’s razor? It looks like those expectations have come through. That is a far simpler explanation than an unknown battery technology surprise. There will be some incremental battery improvements, like there are each year. But the revolution others are speculating about is not needed. There is no other battery maker that has this kind of integration in its new battery factories. And without it, other truck makers cannot compete with Tesla on price. That’s not even counting the few thousand or tens of thousands of dollars Tesla saves by using four Model 3 motors instead of a single specially designed big one. That is a trick others can (and will) copy. The bottleneck in Model 3 production at the Gigafactory is now better understandable. It was in the line that was required to produce the battery packs at these absurdly low costs. Going so far beyond what was previously possible is both risky and a game changer. The bottleneck illustrates the risk. The game changer is that Tesla now seems to have a price advantage of $50 to $100 per kWh. For trucks with a MWh battery, that is an advantage of $50,000 to $100,000 in parts purchase to the competition. Completely crazy and out of this world.